Spent a lovely two hours with a 6 month old and a three and a half year old and their mumma. Wow - what a beautiful piece of his on display. We've had his artwork displayed here, too. It's so beautiful. Lovely shot. This is so beautiful! 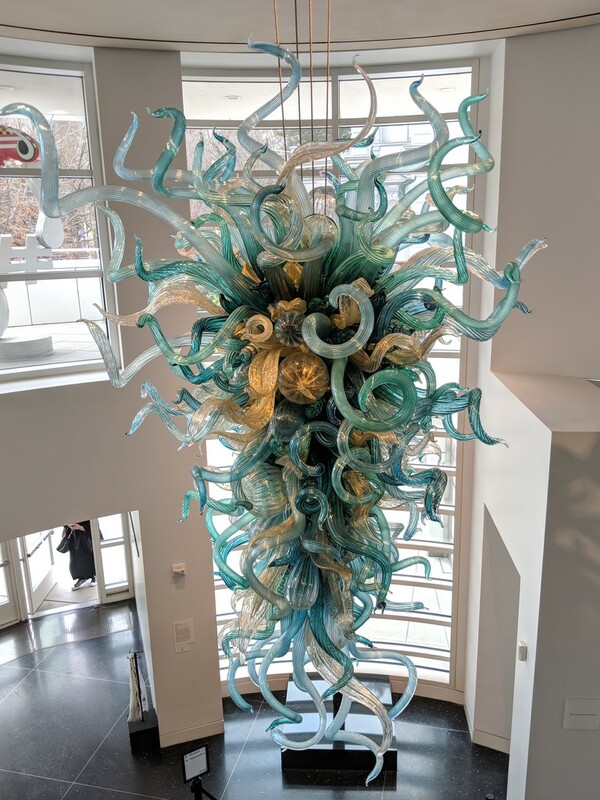 I love Chihuly glass and I really love the colors in this piece! Chihuly glass is so beautiful. that is like huge too it seems? A stunning shot of this work of art and it's amazing shapes and colours, fav! I love his work! Great shot. @gardenfolk oh how interesting. Next time I come out we should meet up. I come to Fair Oaks.